Juno Beach is one of the most beautiful cities in Palm Beach County and this condo is located in the heart of the city. 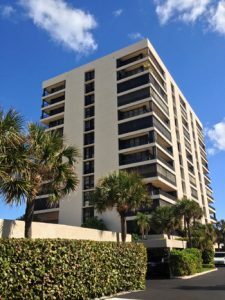 Beautiful 2/2 condo, on the Ocean, with quiet beach access, community pool, walking paths, close to shops, restaurants, PBI airport, Gardens Mall and State Parks. INVESTORS will love this perfect rental, or long-term investment property. All information provided is deemed reliable, but is not guaranteed and should be independently verified. All measurements are approximate. Sean Keady was great! He followed through on everything. Answered all of our questions with honesty and was very informative. He handled a difficult seller with professionalism and tact. I would highly recommend him to help you find your perfect home.